Beautiful 3 piece jewelry lot of Freshwater Pearls, this set includes Necklace, Bracelet and Earrings with french hook earrings. The chain link sections between the Pearls and the clasp are Sterling Silver 925. 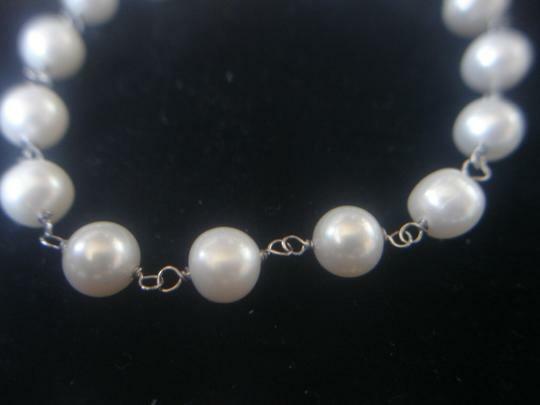 The Freshwater Pearls measure between 7.5 to 8mm in size. 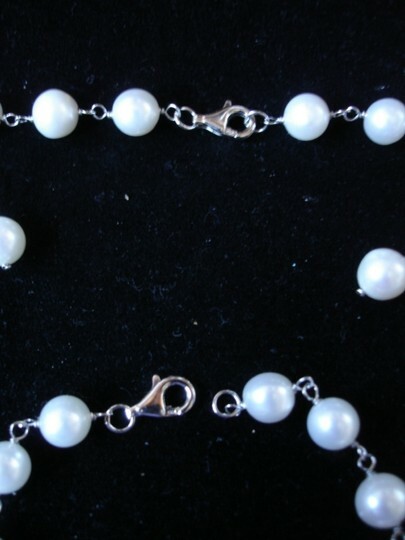 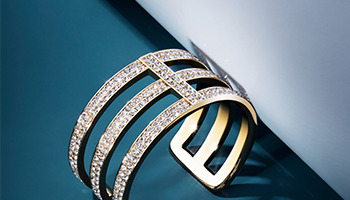 The Bracelet length measures 8" and the Necklace is 18". 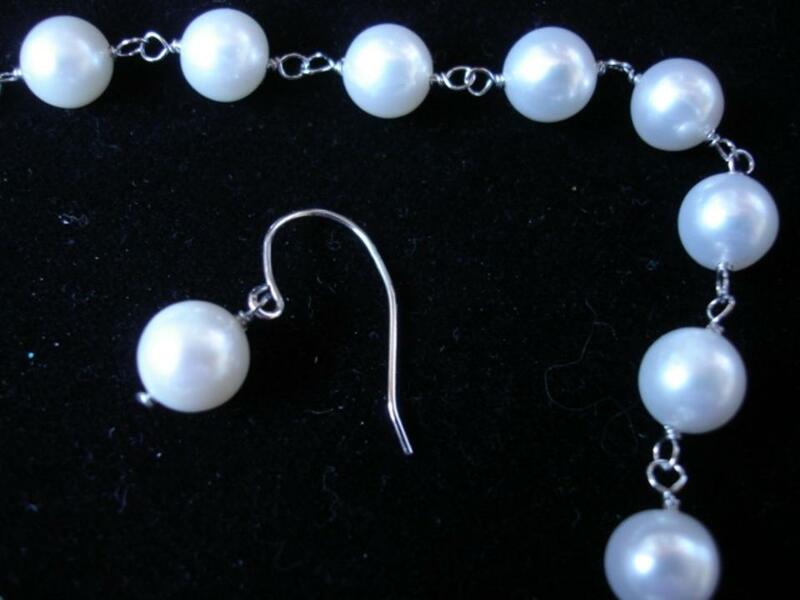 This sets of Pearls are New with tag attached, come in the original black gift box they came in. 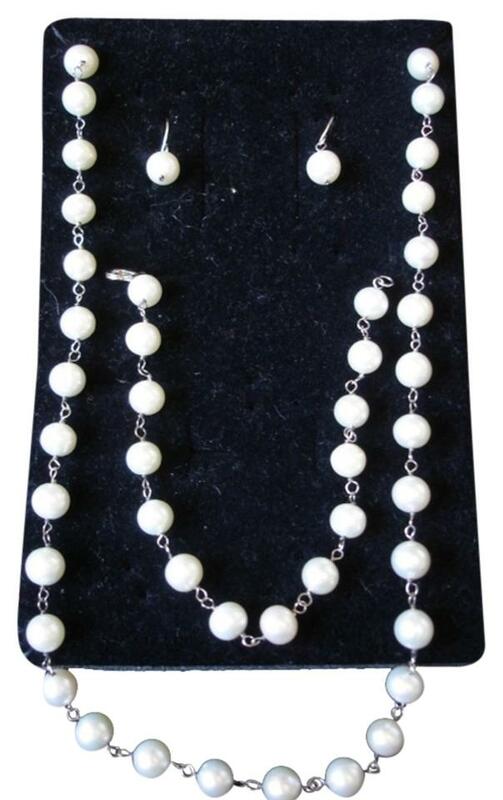 This set sold in JCPenneys stores Christmas of 2013 for $90.00 per set recently. 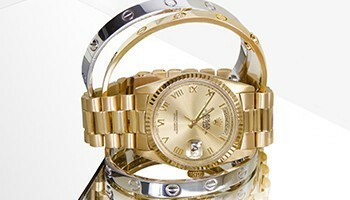 The sets that they are selling presently on their web store are selling for anywhere from $90.00 to over $199.00.